She finally came out of her closet! And she took her Poessie Album with her! Victoria False, the drag queen with the most exquisite voice north and south of Paris, is delighted to invite you to her concert on the 18th of December. She started her career as singer in the dark bars of Paris and will give her first big concert in Amsterdam. It will be the very first drag queen concert in the history of Amsterdam! And what a voice, what a performance! 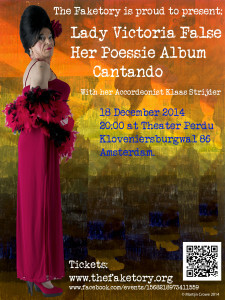 The concert takes place in the poetic Perdu Theatre at Kloveniersburgwal 86, Amsterdam, at 20:00 the 18th of December. 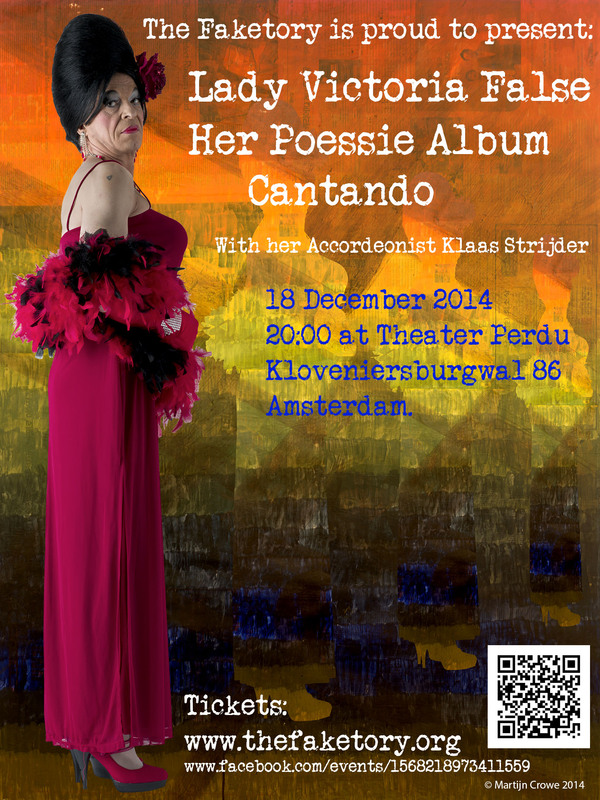 Victoria False and her accordionist, the immaculate Klaas Snijder, will perform 1,5 hours of Musical hits, French Chansons and Amsterdamse Straatliedjes. 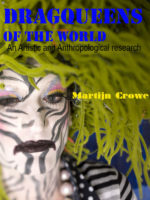 The Brazilian Martijn Crowe, principal artist of the Faketory and internationally acclaimed anthropologist, who started the Drag Queens of the World project, is very happy with Victoria False and her contribution. Ladies! 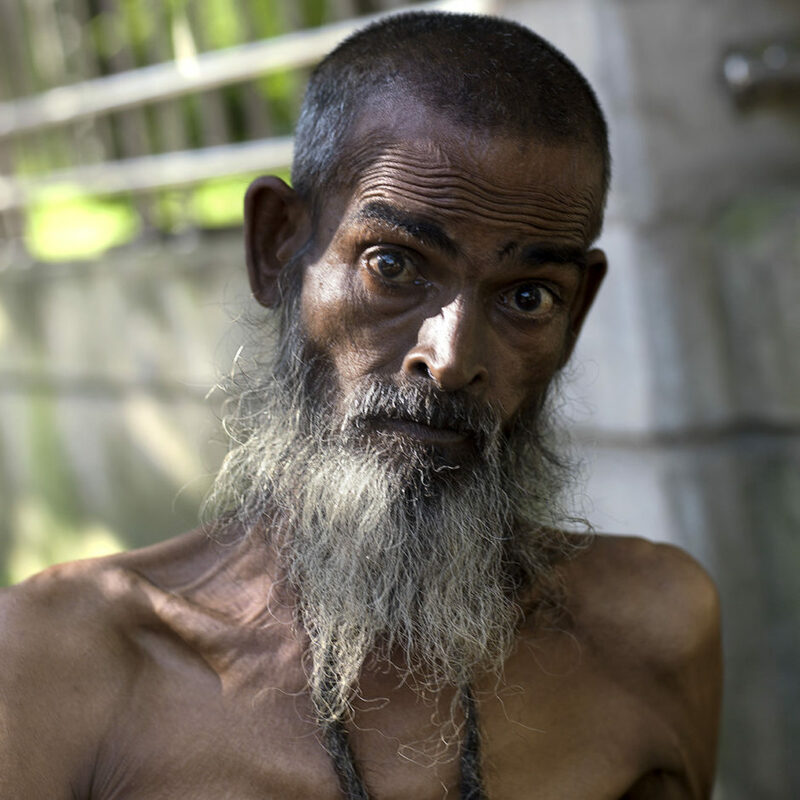 We cannot lay back and believe that we don’t have to do anything anymore. We are sure that the tolerance we are so proud of here in Amsterdam only exists for now, and can fade away any moment. Tolerance has to be created again and again and will never be a given fact. 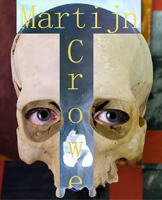 During the show the latest work of the Drag Queens of the world will be presented. The complete box office income will be used to publish the book Drag Queens of the world, featuring photos and interviews with drag queens from the entire planet. Tickets are available at www.thefaketory.org, or at the door the day of the concert and at gays and gadgets Spuistraat 44, en de Lellebel Utrechtse straat 4.